Waterford's hurlers ended their 44-year wait for a National League title at Semple Stadium as they triumphed 0-20 to 0-18 over defending champions Kilkenny. Played out in front of 22,235 spectators, the Division One final was never going to be a clearcut contest and it certainly turned out that way as both teams did the small-ball game justice with clean and fast-paced displays. In their third appearance in a league decider since 1998, the Deise led by 0-11 to 0-9 at the interval and although the sides were level on nine occasions during the game and despite the great form of Henry Shefflin who scored 12 points, it was to be a blue and white day. Late points from Eoin Kelly and Seamus Prendergast ensured a memorable victory for Justin McCarthy's Waterford side with Michael Walsh the winning captain. This was an epic game of hurling and both the conditions and the venue were certainly worthy of the fare on show. Looking to become the first team since Tipperary in 1961 to win a three-in-a-row of league titles, Kilkenny did break into an early lead, but Brian Cody's Cats were never allowed to hit their usual stride. From the moment Jack Kennedy opened the scoring for Waterford after 53 seconds until Prendergast put the winners two points clear in the 72nd minute, this was a contest that had the crowd on the edge of their seats throughout. Kennedy's early score certainly settled any early nerves the Deise may have had but Kilkenny quickly broke in front with points from the returning Shefflin and Martin Comerford. However Waterford's positive attacking play was quickly rewarded as points from Eoin Kelly and Ken McGrath ensured they regained the lead in the 14th-minute. Eoin Kelly was in sublime form from placed balls, while his Kilkenny counterpart Shefflin was also effective although he did miss a close range free in the second half. The sides continue to go point for point with Shefflin and Lyng on target for Kilkenny, and Kelly converted two more Waterford scores. 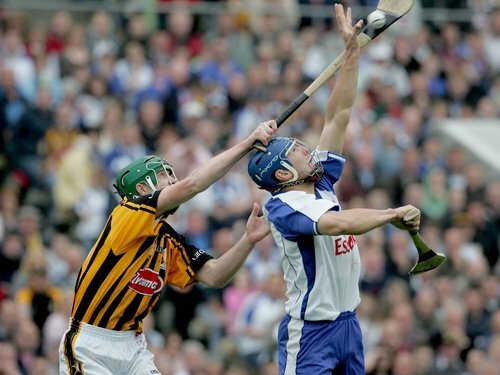 Seamus Prendergast put the 2004 runners-up three points clear, and while Kilkenny came back strongly, Waterford held their nerve to take a two-point advantage into the break. Cody's men started the second half well with four successive points to take a 0-13 to 0-11 lead and despite John Mullane having a fine goal shot saved by PJ Ryan, Waterford continued to look the hungrier. With the game on a knife-edge, the sides were level on three occasions during the second half - including twenty seconds into injury-time when Shefflin sent over his twelfth point of the day. However, Waterford were not to be denied a famous victory and late points from Eoin Kelly and Prendergast ensured a narrow but deserved win. The delight on the faces of Waterford supporters, following their county’s first league success since 1963, brought back memories of All-Ireland wins for the likes of Offaly, Clare and Wexford in the mid-nineties. With their tails up, McCarthy's current crop will be confident that they can replicate this sort of form in the forthcoming championship, which begins for the Deise with a Munster semi-final against either Clare or Cork on June 17. Despite this setback, Kilkenny will have high hopes of retaining their Leinster and All-Ireland crowns - their summer assault begins with a Leinster semi-final against either Laois or Offaly on June 10. 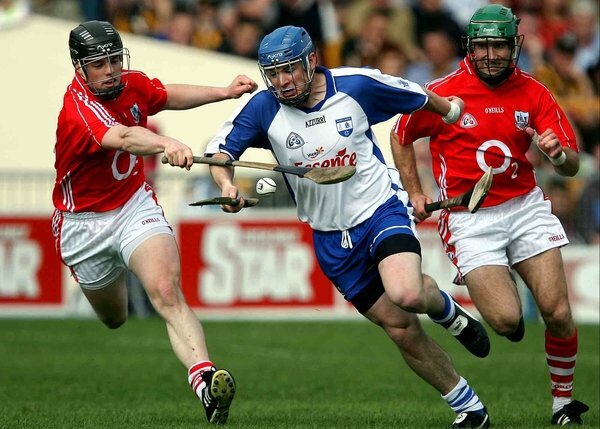 WATERFORD: C Hennessy; E Murphy, D Prendergast, J Murray; T Browne, K McGrath (0-3, 1f), A Kearney; M Walsh, S Molumphy; E Kelly (0-8, 6f), S Prendergast (0-3), S Walsh; J Mullane (0-2), D Shanahan (0-1), J Kennedy (0-1). Subs used: P Flynn (0-1) for S Walsh (48 mins), E McGrath (0-1) for Murray (53), S O'Sullivan for Kennedy (74). KILKENNY: PJ Ryan; N Hickey, B Hogan, JJ Delaney; J Tyrrell, J Tennyson, T Walsh; D Lyng (0-1), W O'Dwyer; E Brennan (0-1), M Comerford (0-2), R Power (0-2); H Shefflin (0-12, 6f, 1 '65'), J 'Cha' Fitzpatrick, A Fogarty. Subs used: E Larkin for Fitzpatrick (38 mins), E McCormack for Fogarty (66).